This is new and modern building for old and traditional elementary school such as Rossert-Schule in Ruppertshain. Besides maths, there are many courses that students can take like chess or cooking classes. 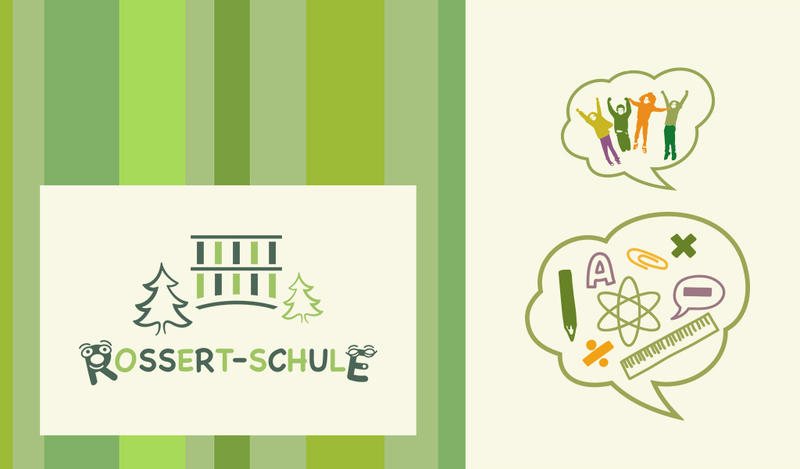 For a fresh start, we cooperated with Rossert-Schule to create a new logo. Creative, fun, unique, different… Ours! We found inspiration for design by collecting pupil’s drawings. It’s a sketch of school building with a lovely environment filled with conifers and all well balanced with green shades and animated letters.